If you didn’t think Jurassic World‘s sequel could get any better, hold on to your butts. Fan-favorite character Dr. Ian Malcolm (Jeff Goldblum) is returning to the lost world after 20 years, The Hollywood Reporter reports. 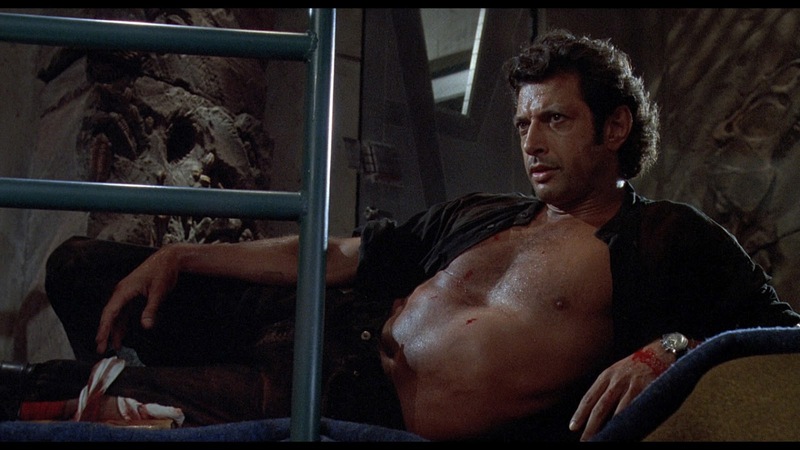 Goldblum will join stars Chris Pratt and Bryce Dallas Howard for more terrifying encounters with dinosaurs, though there’s no word on if he’ll recreate his iconic chest shot, though. Fingers crossed. Goldblum starred in both Jurassic Park and its sequel, The Lost World: Jurassic Park, managing to survive several close calls. The Lost World introduced audiences to Malcolm’s daughter, Kelly (Vanessa Lee Chester), which brings up an important question: If Malcolm’s returning for the next instalment in the franchise, shouldn’t his daughter also come back? That’s what fans want to know. After being asked by fans on Twitter, Chester said she “would be beyond honoured” to reprise her role. There’s apparently some dino tea floating around. While nothing’s been confirmed or denied about Chester’s potential return to the franchise, fans are still hopeful we’ll see Malcolm and Kelly reunited onscreen. Kelly was a badass back in the day—she could probably show Pratt’s Owen a thing or two.